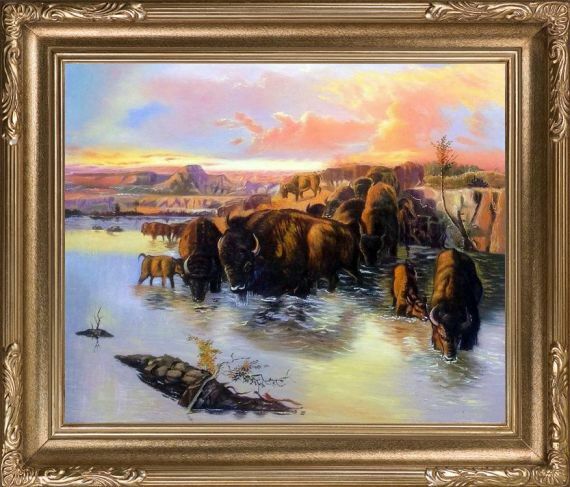 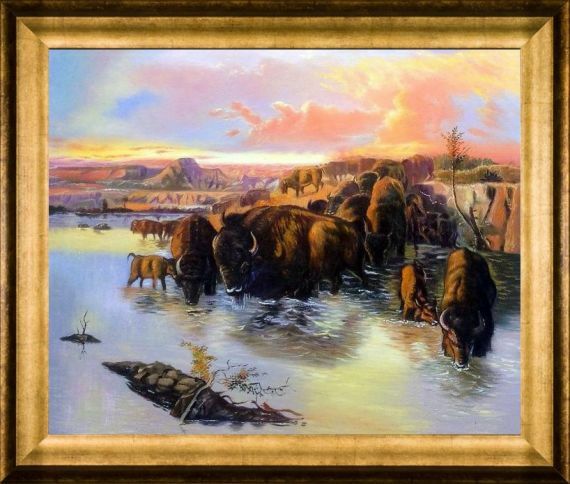 20" X 24" Oil Painting On Canvas The Buffalo Herd is a beautiful painting of buffalo herd at the pond. 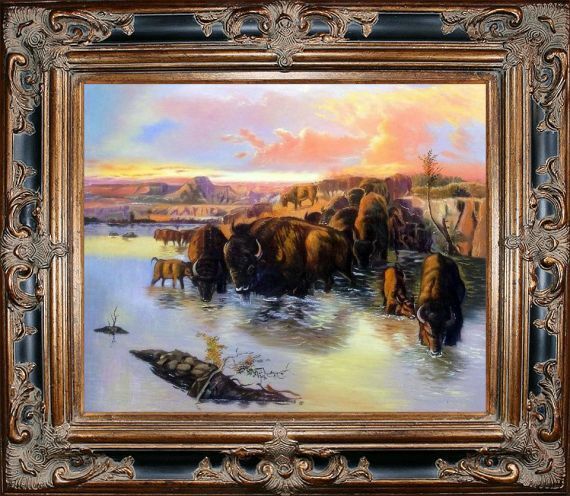 It will bring the touch of Americas past to every room. 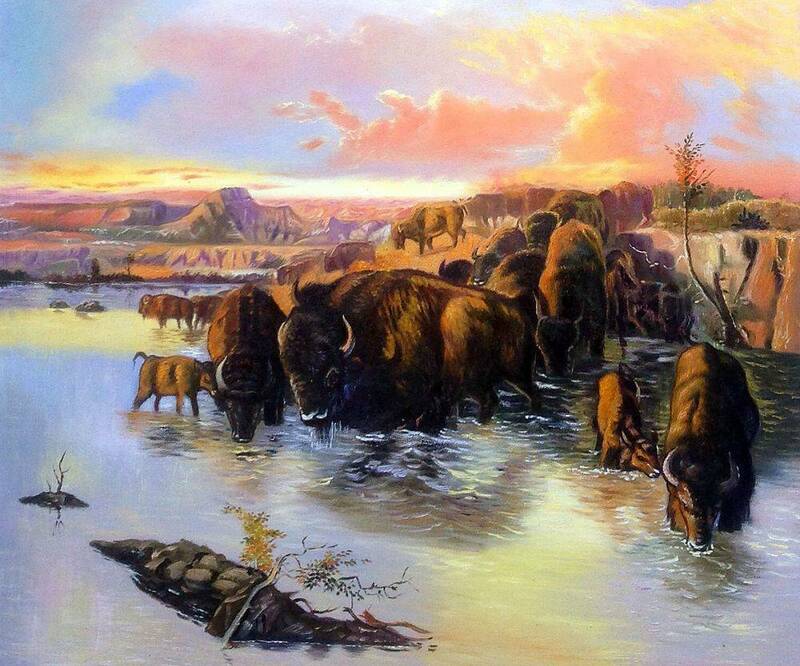 St. Louis, Missouri native, C.M. Russell has a large catalog of over 2000 western themed paintings. 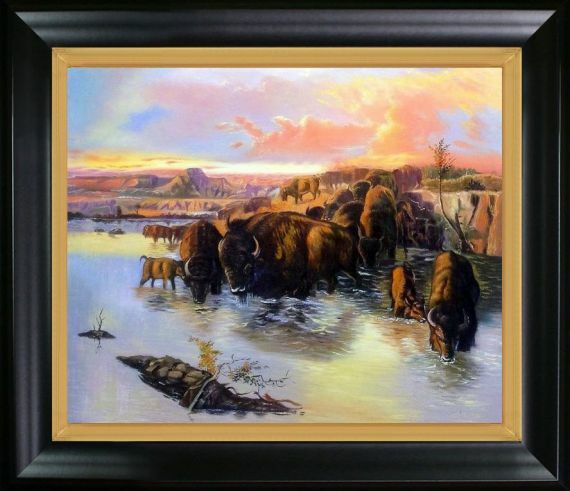 Russell is best known for creating traditional style oil paintings, featuring cowboys, Indians, and landscapes, with his most noted work featuring historic figures, Louis and Clark.